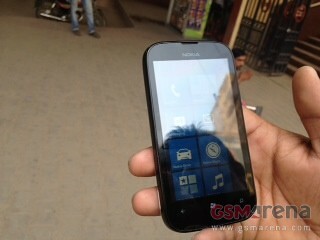 It’s not surprising that Nokia will release a successor to the current Lumia 610 budget Windows Phone. The Lumia 510 was spotted recently showing off it’s curved corners and reflective screen. The price has also sort of been leaked/rumored. The price is rumored to be around $150 and the specs, as provided by GSMArena’s source are: 4″ display, 256 MB of RAM, 4GB of storage, GSM-WCDMA-HSPA supported, and a 800MHz MSM7227A chip will power Windows Phone 7.5 / 7.8. Here’s a video of it being previewed.